Well, it’s been a while since I have been here hasn’t it? I thought about the end of the year being near and I looked back to see what I had actually accomplished around here and I realized not much. I did manage to get a few routine chores done but not much in the way of big projects. I came home one day and found this Shepherd mix on my front porch. I checked his collar and he didn’t have a name tag. 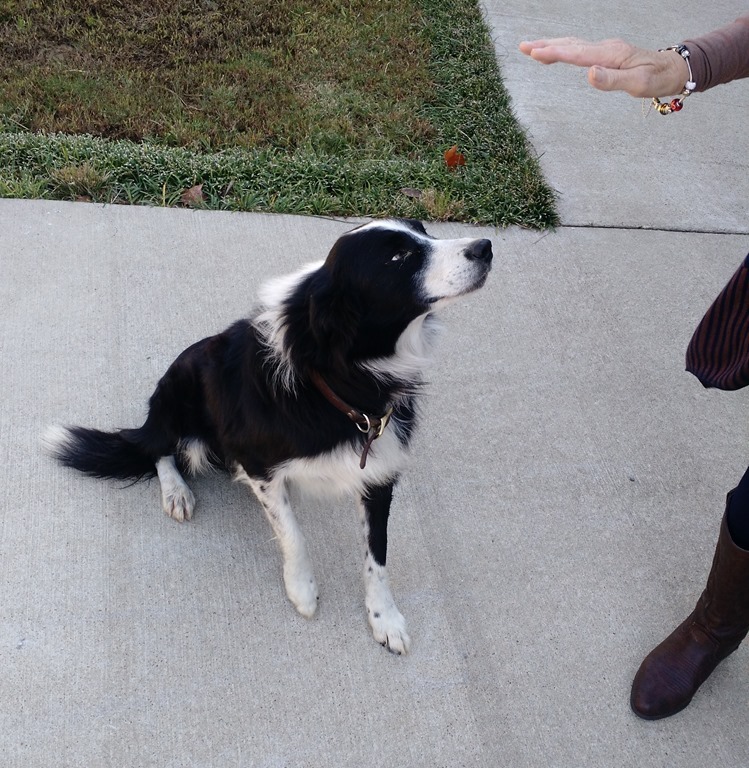 He was very friendly and I could tell he was very frightened and lost. I figured he would leave and go home on his own but after a couple of days he showed no sign of leaving. We posted him on Facebook and eventually we found his owner. Turns out, I actually knew his owner so I am sure he got back to his real home. Sweet Thing didn’t know it, but I was making plans in my head to keep the dog if no one claimed him. 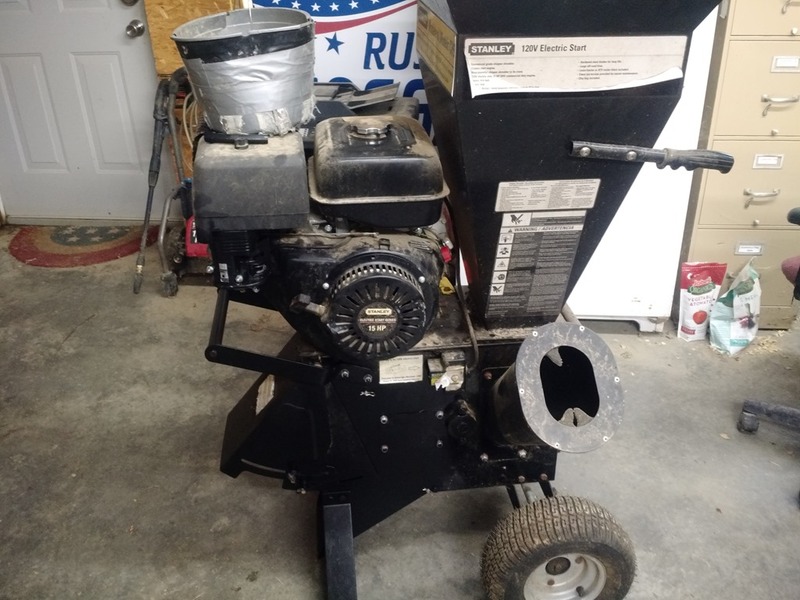 I pulled my professional chipper-shredder out of storage after 3 years to get it started. I checked the oil and discovered the crankcase was full of gasoline which had leaked into the case. Not good! I changed the oil and started it up. It ran about 30 seconds before bright blue smoke came out of the exhaust the the engine shut down. I took off the carburetor and cleaned it up with carburetor cleaner. I put the carb back on the the engine and it ran like a sewing machine. Hard to believe after it has been stored all that time without being properly stored or started. I guess I got lucky on that one. I went into a convenience store recently and as I was walking in I noticed this garbage can. There were at least a dozen honey bees buzzing around it. 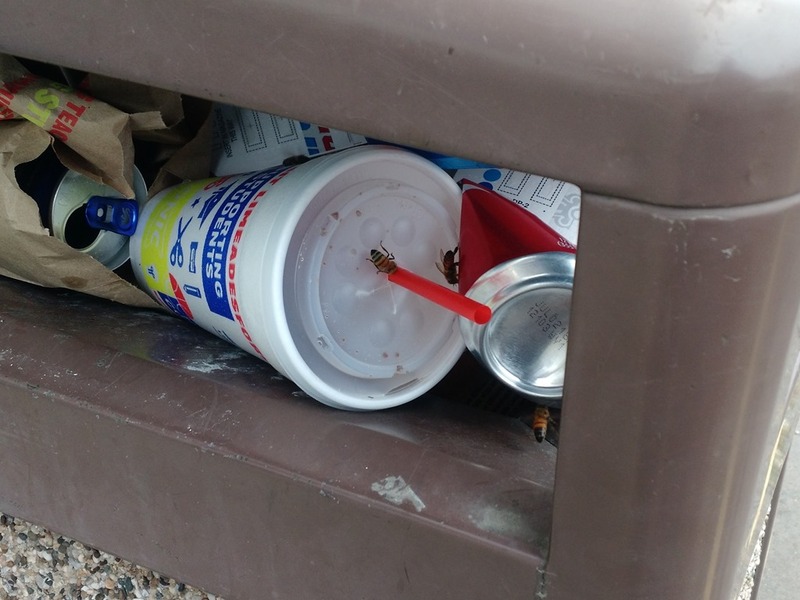 They were feeding on the sticky residue from the spilled sodas and such. All of the natural forage was gone for the winter but since the temperature was 70 degrees the bees were out foraging anyway. I am going to try a different style of bee hive next summer as an experiment. 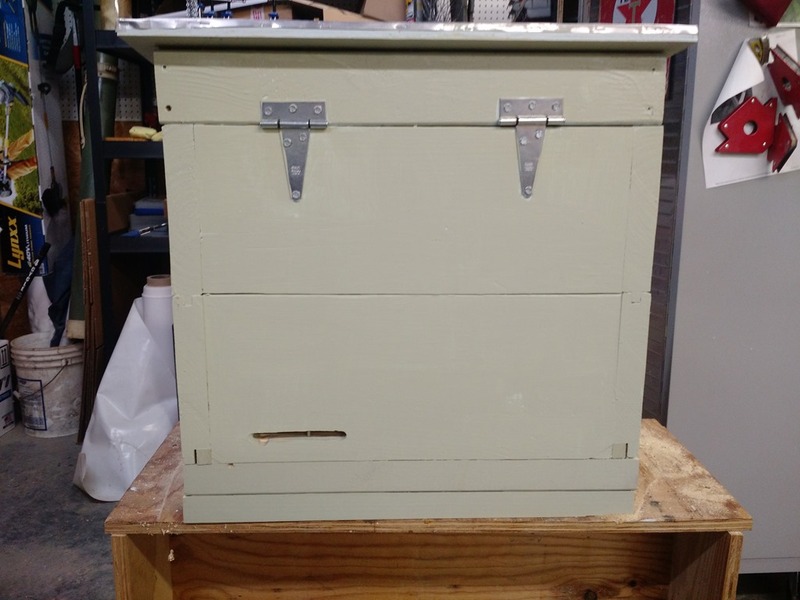 This is a Layens style hive. It is like a combination of a top bar hive and a langstroth hive. 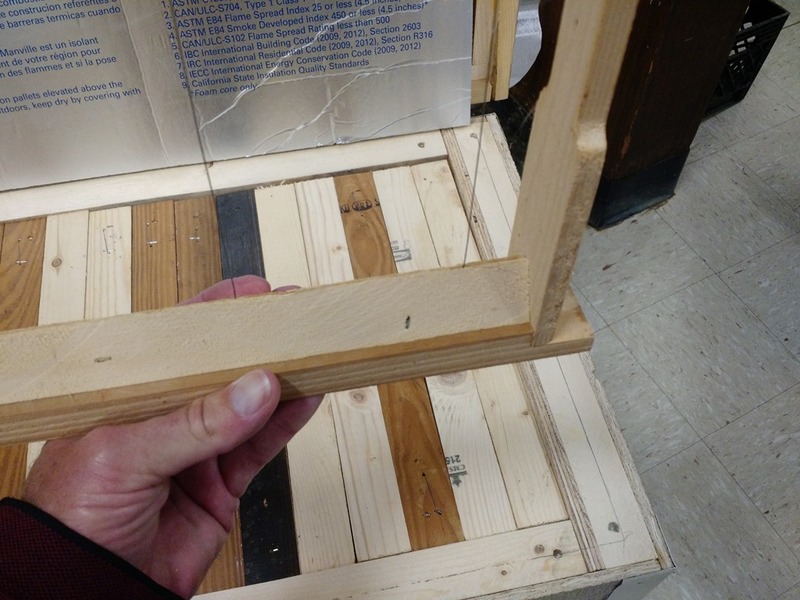 It is constructed with 2 by dimension lumber so all of the sides and bottom are 1.5 inches of solid wood. This is intended to give superior insulation power. The hive is also narrow, deep, and dark inside which more closely mimics a bee’s natural home in a hollow tree. I will let you know how this works out later next year. I attended a business meeting last week at the world famous Peabody Hotel in Memphis. 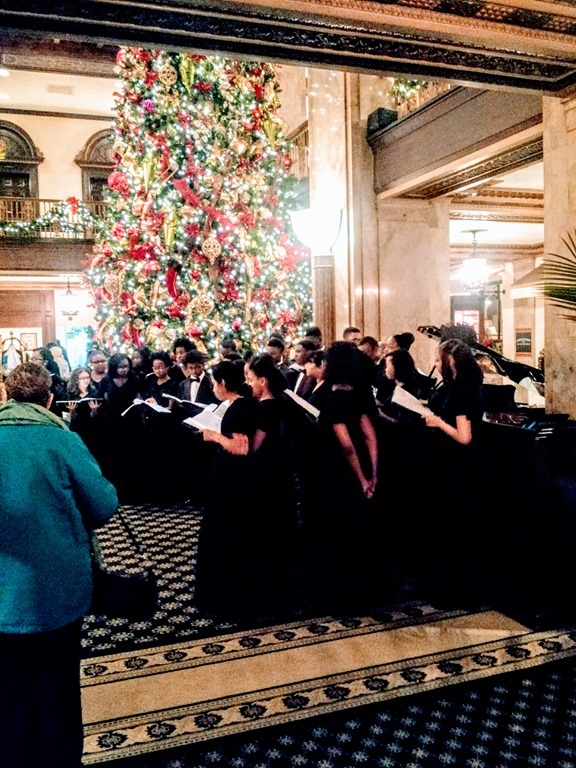 The hotel was beautifully decorated for Christmas and we were entertained by a Choral Group from a local middle school singing Christmas carols. 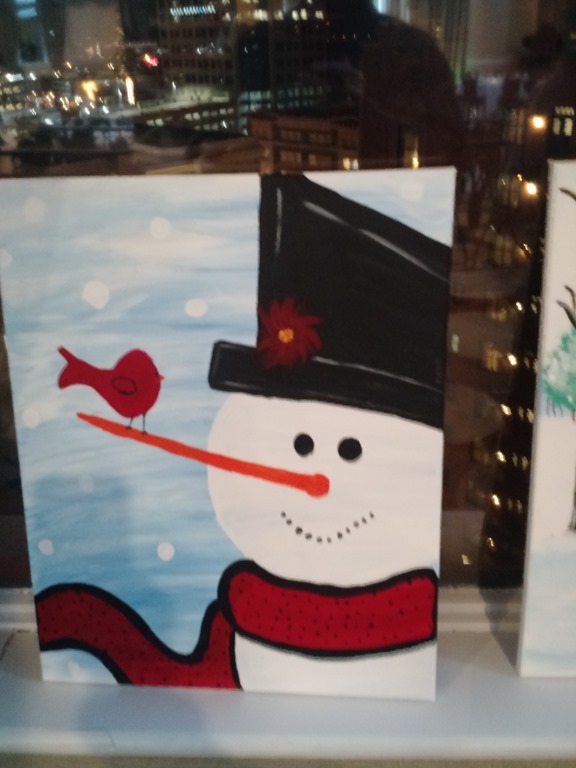 While I attended the meeting, Sweet Thing attended a painting class where she painted this snowman. Apparently that is the latest thing around here to hold classes where the participants are giving painting instructions. Not to mention socializing and drinking lots of wine! Keep prepping everyone!! Oh, I almost forgot it’s almost Christmas! How about a tune from Bing Crosby? Enjoy.